When it is about the Luke Air Force Base, people often remember Rusty Mitchell, the director of the Community Initiatives Team of Luke Air Force Base. But very few are acquainted with Mitchell’s right hand and guide, deputy director of the team, Barbara Plante. It’s been years, Plante has been observing the growth around the base. And it is part of the job to view and manage growth around the base. Plante has been working hard to convince real-estate partners, local officials, and civilians about the importance of the base and the state laws as well. 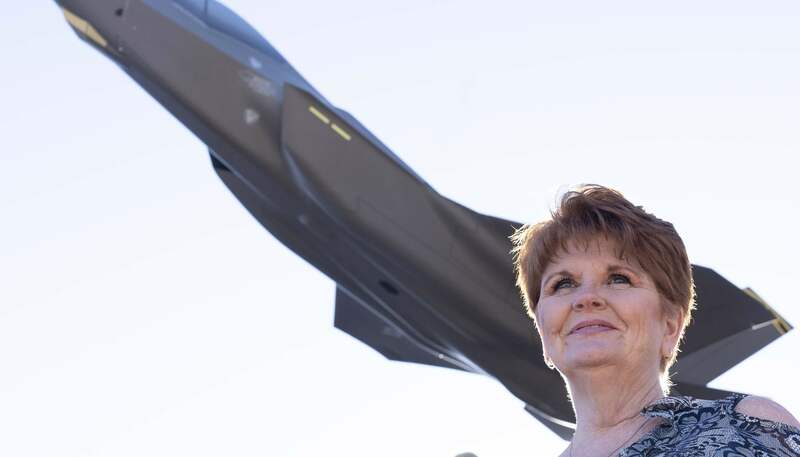 After a long journey of 35 years of service to the U.S. Airforce, she is retiring this month. She had spent 26 years of her career at Luke and another 20 at the Reserve. As per Plante, Luke is now at a good position. It has a vibrant community. And the kind of support it gets in Arizona is second to none. Arizona has also enacted laws to restrict developments and construction near the site. It’s to be noted that, Luke has one of the highest fighter jets in the world. And the crucial position managed by Plante will have to be filled by someone worthy. Because without proper communication between the local officials and Luke, a lot of things can be put at stake. Air Force bases are very important to a nation’s security. So, the force wants to have a safe and supportive environment around the base. Developments around the base, especially at the flight path should be limited in order to avoid the possible chances of a crash. There are certain things which can negatively affect Luke’s operation like tall buildings, industrial buildings with emissions, and even certain farming that attracts birds. Mitchell and Plante have worked to make the locals understand about the importance and value of the Luke airbase. The Luke airbase has facilitated 15,070 jobs, $923 million in wages, and $2.4 billion in direct and indirect economic impact to the state, as per 2017 findings. Both the players at the Luke have done their best in convincing the people about the airbase and especially, maintaining coordination between the local politicians. The Luke has seen quite a number of rough years in its early period. As the new housings were erected close to Luke, it was the responsibility of Plante and Mitchell to convince the people to stop such construction. They even managed to lobby for a law enacted for this purpose only. All these happenings were being done when the Luke had trained pilots on F-15s and F-16s and was trying to secure the F-35 program. Plante has been on the public affairs of Luke from 1995 to 2013. She was also deployed in Afghanistan from 2012 to 2013. She managed a cordial relationship between the locals, officials, and the Luke staff. The state law generally states that the general plans for the city should comply with the high noise and accident potential generated by the Luke base. Plante used to hold quarterly meetings with the city’s planning and zoning committee to discuss and convince them on various subjects. Plante has been a good negotiator and has exceptional skills to convince people. At one point in time, city authorities even agreed to share every piece of detail regarding developments in the vicinity of the Base. Plante worked as the perfect mediator between the local officials and high-ranking Air Force officers. Plante has never been very vocal about her work. But everyone has acknowledged the importance of her work. Many mayors and elected representatives have been rotated, but Plante remained and worked with all of them. The position left by Plante will have to be filled by someone more worthy. The future negotiator would have to be super active with the exceptional ability to understand the nerve of the city.